Joining an independent firm allows you to service your clients on your terms. In addition, you will have the opportunity to be a part of how we grow and develop our company for the next generation. Join a firm that offers independence in a collaborative environment. With a deeply supportive community, our advisors are able to focus on building their business while enjoying the benefits and backing of a larger firm. 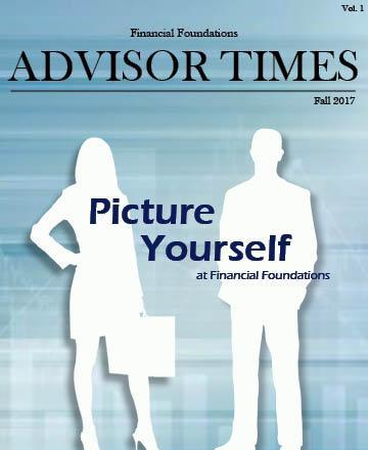 At Financial Foundations, we are seeking advisors who share our common vision, possess personal integrity, and have a passion for providing superior client service to help clients achieve their financial goals. Financial Foundations strives to stay ahead of the competition when it comes to technology for you and your clients. Our office moved to a cloud-based platform, which allows secure access to all files from anywhere at anytime. Your clients will enjoy a new integrated platform that delivers an aggregation of all financial accounts under one umbrella. This allows your clients to have all their information in one location and it helps us identify product opportunities to increase client confidence and loyalty. 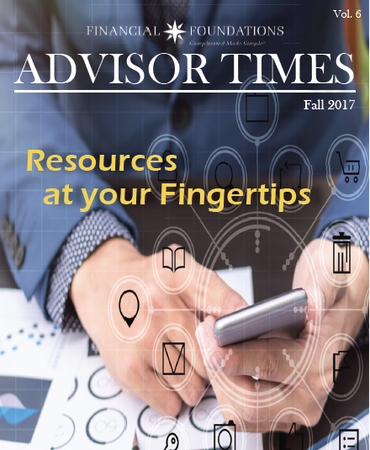 Technology is one of many ways that Financial Foundations can provide you the tools to be the best advisor to your clients. Do you wish you spent more of your day servicing clients and acquiring new ones, rather than ordering toner and preparing client mailings? By joining our team, you no longer need to worry about running day-to-day office logistics. We have an operations team in place to take care of all the details so you can effectively focus on your clients. We take care of onboarding new employees, ordering supplies, compliance, employee relations, technology, and much more, all to create scale and capacity for our advisors so that you can focus on providing superior service to your clients. We operate under a single philosophy: By working together we can achieve greater results. Our clearly defined sales and support responsibilities ensure everyone within our organization is in the right position. To help you focus on what you do best, we will establish a team to oversee the daily needs of your clients, or, if you already have an team, we will transition them with you. 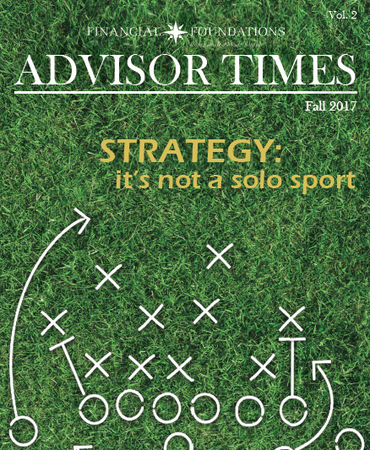 Our advisor teams consist of an associate advisor and an executive assistant. Alongside your team you will have the support of our marketing, compliance, tax, technology, and portfolio management teams. Our investment committee conducts research and due diligence in order to ensure our clients are placed in the best possible accounts and funds. Our team meets semi-weekly to learn from industry experts and make decisions for our clients to ensure we are matching investment objectives and asset allocation while balancing risk. You can rest easy knowing you have a team of professionals who will support you on a daily basis. With a full array of services, our marketing team will ensure consistency with our brand through design, advertising, events, and communications. 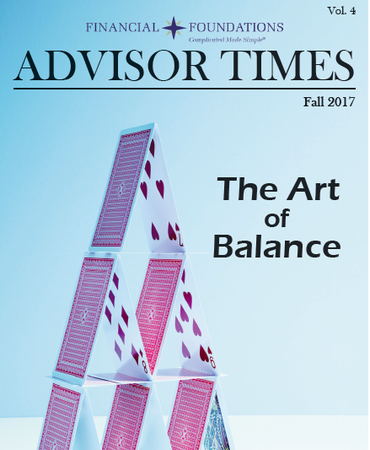 Our marketing team's goal is to deliver a distinctive Financial Foundations experience to our clients while staying true to each advisor's unique personality and style. Custom marketing services include but are not limited to: flyers, newsletters, advertisements, social media and e-mail campaigns, client appreciation events, brochures, and seminars. 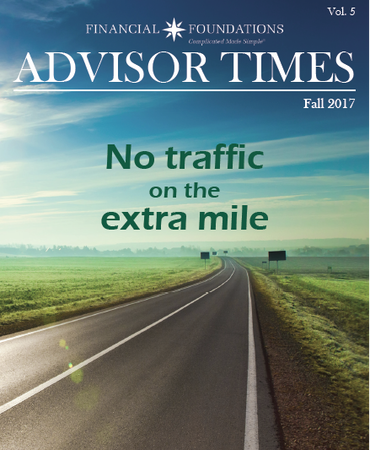 Just as our clients are free to choose the advisor they believe is best suited to help meet their needs, our firm benefits from the same freedom in selecting a broker/dealer. We have chosen to affiliate with Commonwealth Financial Network® (Commonwealth). 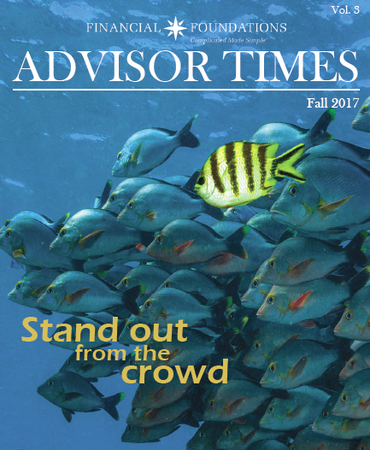 Commonwealth is the largest privately held Registered Investment Adviser-broker/dealer in the country, with $114.4 billion* in total assets and more than 1,710 affiliated advisors.